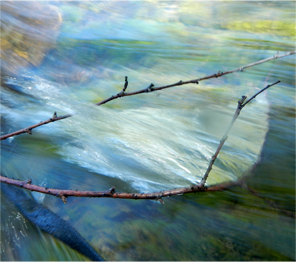 In the flow, © Gretchen Friedrich, 2014. There’s stress, and there’s stress. As much as we might wish it weren’t so, some amount of stress pushes us to accomplish more and better, often beyond what we thought ourselves capable of. It forces us to go places we might otherwise avoid out of fear or complacency. This entry was posted in Forecasts and tagged cardinal grand cross, cardinal T-square, full moon in scorpio, mars in libra, Mars retrograde, Pluto, venus in aries, Wesak on May 11, 2014 by Pat. This week is the festival of Wesak, honoring the birth, death, and enlightenment of the Buddha. A portal is opening. Wesak takes place at the Scorpio Full Moon, with the Sun in Taurus. There is some confusion about this, as Eastern religions use sidereal astrology, which means that Wesak sometimes is in June, by which time the Sun in our Western tropical zodiac has advanced to Gemini. This year, they happen to coincide; in our tropical system, the Full Moon occurs at 26°13 Scorpio, while in sidereal astrology, it falls at 2°12 Scorpio. The third eye, located between the eyebrows, is our center of higher consciousness, the ability to “see” into the energetic realms. When it gets activated, we’re said to be enlightened. Death, rebirth and transformation are Scorpio keywords. Substitute “enlightenment” for transformation, and you understand the theme of this Full Moon. Humanity is evolving toward higher consciousness and enlightenment. More and more of us are aware of our soul’s purpose, and we’re trying to find a way to align ourselves with it. At Wesak, a portal opens for light to enter the world. The more of us who are aware of it and who actively call upon the forces of enlightenment, the more the world will get – and not a moment too soon. The Full Moon at 26 degrees Scorpio ironically falls with the Sun conjunct Algol, considered the most malefic star in the sky. Algol is associated with Medusa, the snake-headed woman in Greek mythology who turned men to stone if they looked at her. The symbolism and psychology of this myth is complex and speaks a lot to the cosmic split between divine masculine and feminine energies. In ancient times, snakes were a sign of wisdom, a direct connection with the unseen energies of the universe, and they were associated with women until patriarchal religions took over. Since then, the energy on the planet has been completely unbalanced. The snake symbolizes our connection to source energy – what some might call the Mind of God. Have you ever noticed that some Scorpios seem to have unlimited energy? It’s as though they’re plugged directly into a cosmic battery. And most of them don’t even realize it, because the connection is deeply integrated. They operate on “instinct” and often don’t even have to think about what they’re going to do next. This power can be scary, and it’s one of the reasons Scorpio is feared and reviled. Could the Full Moon conjunct Algol signal a rebirth of the ancient, wise goddess? Will her vibration be part of the light stream that enters the world? The Moon reaches peak fullness on Tuesday at 7:09 a.m. EDT on the East Coast of the United States. If you’re on the West Coast and don’t want to get up at 4:09 a.m. to participate in the Wesak invocation, you can set a bowl of water outside and drink it in the morning. Just be sure to cover it. As far as I know, ingesting bugs and bird poop is not a path to enlightenment. In the Full Moon chart, the Sun and Moon are in a wide, out-of-sign square with Neptune at 0 degrees Pisces. The Sun and Jupiter are in a tight semi-sextile, which means the Moon and Jupiter are inconjunct. We’ll need to make sure we’re not too busy or too preoccupied with acquiring material possessions to stop for an hour or so, quiet our minds, and tune into the stream of light. So many people don’t know what they really want anymore, especially in a world with a glut of consumer goods and a dearth of information about how to be truly happy. After the Full Moon, we begin the countdown to the eclipses. There will be three eclipses in June and July – two solar and one lunar. It’s also interesting to note that next year’s Wesak festival will fall on June 4, which coincides with an eclipse and the 2012 Venus transit. Speaking of Venus, she rules this Full Moon. All of the planets except Neptune now deposit to her, whereas for the past several weeks, they’ve deposited to Mars. With Jupiter and Uranus in Mars-ruled Aries, there still will be some tension and conflict, but for the next few weeks at least, peaceful solutions may be found. Last week started out with a conjunction of Mercury and Venus in Aries. The two have been tracking very close to one another, and on Monday this week they conjoin again, but in Taurus. Then they both sextile Neptune in gentle Pisces. It’s a whole different atmosphere now. Word are kinder and softer, and we should be able to find some time to dream. Do watch your cash, though. If you make a large purchase, a few days from now you may wonder what you were thinking. From Wednesday to Friday, Mars, Mercury and Venus form a sextile to Chiron in Pisces. Healing can happen on many levels. How many of us beat ourselves over the head for what essentially are wounds? Would you blame a child for falling and breaking his nose? Even if he did something stupid, you’d at least use the occasion to provide some gentle instruction about the consequences of bad judgment. Be just as kind with yourself and others as you’d be with that child. Also on Friday, Mercury conjoins Mars, and the two trine Pluto. Rather than getting angry and giving someone a piece of your mind, you can use this influence to understand the source of the conflict. Venus trines Pluto on the following day. If you and a loved one had a “discussion,” now you can make up in a way that should leave you feeling much closer than ever. The loving feelings will continue to build as Venus and Mars move closer to conjunction on May 23. The Sun leaves Taurus on Saturday and enters fast-paced Gemini. However, Gemini’s ruler, Mercury, is in Taurus, and so placid Venus continues to be the dominant influence. I am a bit concerned that peace may be confused with repression of emotions. In mundane terms, this could mean squelching valid complaints in order to reach an agreement. Repressing feelings and failing to address underlying causes of problems never works, as all of that negative energy eventually surfaces. And when it does, it’s usually with a vengeance. 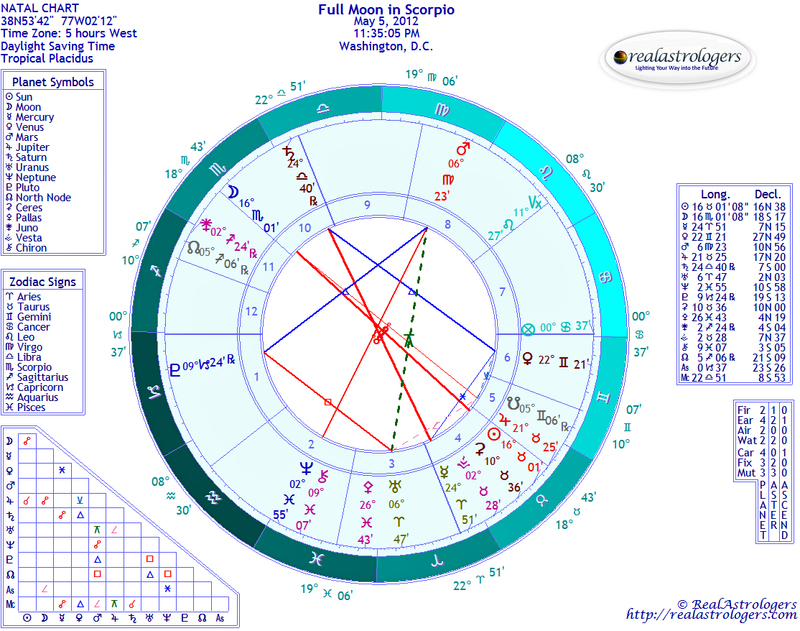 The last major aspect of the week is a Sun-Neptune square. For some, this could manifest as the combined urge to accomplish many small tasks and the lack of energy and motivation. My advice is to rest while you can, because June and July may bring fast and furious change. This entry was posted in Forecasts and tagged Aldebaran, Buddha, full moon in scorpio, soul astrology, Taurus, Wesak on May 15, 2011 by Pat. 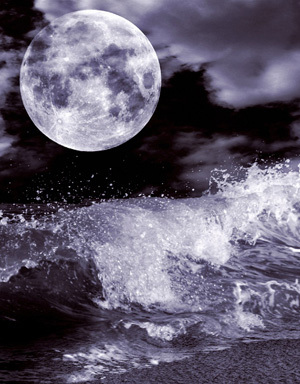 The Full Moon in Scorpio normally is a magical time of regeneration and rebirth. That’s all the more true for the Scorpio Full Moon on April 28, thanks to a smooth, flowing connection between the Sun, Moon, and Pluto, Scorpio’s ruler. Moreover, the Sun is in tight conjunction with retrograde Mercury, and Pluto is retrograde, too. Retrograde periods are good for activities starting with “re.” So why not regeneration and rebirth? As we go through the great cosmic shift of 2010-2012, much in our lives is dying in order to be reborn. We are healing and regenerating, according to ancient cycles of the stars, gods, and humans. In the Buddhist tradition, the Full Moon in Scorpio is Wesak, celebrated as the day of the Buddha’s enlightenment. Now, technically, Wesak isn’t until May 27, because Buddhists use sidereal astrology, which is a sign “off” from our Western tropical system. Still, we can use the symbolism of Wesak to help us understand the significance of the Full Moon with Sun in Taurus and Moon in Scorpio. Ruled by lovely Venus, Taurus is the “earthiest” of the earth signs, while Scorpio is the sign of death, regeneration and rebirth. Seeing how the unmanifest comes into existence in the physical world and then disappears back into the unmanifest is key to enlightened consciousness. It liberates us from errors in our thinking that lead to needless stress and suffering. The Sun at 8°07′ Taurus tightly conjoins Mercury at 8°24′ Taurus, opposite the Moon at 8°07′ Scorpio. Mercury is just under halfway through his retrograde phase, which is often right about the time we really start feeling the effects. Some of us may feel a bit lazy. If you’re going to succumb to being a couch potato, this is the time to do it! While it may seem like “unenlightened behavior,” I don’t see it that way. To the contrary, it’s often helpful to get your mind completely off a problem so that the deep psyche can work unimpeded. The trine from Mercury to retrograde Pluto will help gain deeper insight, if you just step out of the way and let the process happen. When you return your attention to the issue at hand, you may experience sudden new insight and inspiration. I especially recommend this for intellectual types who live a lot of the time in their heads. On the downside, it may be hard for some people to open up to new ideas under this influence. If someone is giving you a hard time for being too entrenched in ideas or habits, listen! They may or may not be right, but the fact that they’re bringing it up is your cue for self-examination. Consider the message as a gift. Also, Venus is at 4° Gemini, inconjunct Pluto and in mutual reception with Mercury. Venus in Gemini loves to talk, talk, talk, but that may get you in trouble when Mercury is retrograde. Words can be misconstrued. It might be better to let our actions speak for themselves, but that could lead to problems, too, with action planet Mars squaring the Sun and Moon. It will be hard for everyone to shrug off perceived slights. Saturn and Uranus are approaching opposition, which may end up being the real news at this Full Moon. I wrote about this in my weekly forecast and will have more in tomorrow’s post. Lastly, Ceres is stationed near Pluto, set to turn retrograde later in the day. According to classical mythology, Ceres dared to confront Jupiter and Pluto over the disappearance of her daughter and held them accountable for their actions. I think we’ll see this mostly in societal terms, as the powers that be are forced to take responsibility for bad public policy, especially concerning the economy and environment. However, we may see some effects in our private lives, too. At the very least, we may need to reflect on how past decisions or behavior are affecting us in the present. It’s never too late to change! For the Moon at 8°07′ Scorpio, the Sabian Symbol** is dental work, with the keyword PRACTICALITY. Most of us don’t pay nearly the attention to our spiritual health as we do to our physical bodies, and yet this is what’s needed in order to maintain a “healthy soul” that can connect with others in our soul community. The Sabian Symbol for the Sun at 8°07′ Taurus is a Christmas tree decorated, with the keyword SYMBOLIZATION. An image of the winter holidays might seem out of place at this time of year, but its message is of spiritual renewal through sharing with friends and family. One of the most important things we can share with others is our unique gift to the world, and often we must go through a spiritual “death” and regeneration to find it. It’s the classic tale of the hero’s journey, which takes us to hell and back. This entry was posted in Full Moon and tagged Ceres conjunct Pluto, full moon in scorpio, Mercury retrograde, Saturn-Uranus opposition, Wesak Full Moon on April 24, 2010 by Pat. The Full Moon in Scorpio on May 9 seems pregnant with possibilities, as if we are standing on the edge of the precipice waiting for a signal to leap off. But with Mercury retrograde until May 31 and Saturn at a virtual standstill, actual movement is not likely. The elements are evenly balanced in this chart, underscoring the sense of stasis. Saturn in Virgo is the handle of the bucket pattern. Saturn is preparing to station direct on May 16 and will remain at 14° Virgo from May 8 until May 26. Virgo is always happy to double-check the details, and with Mercury, Virgo’s traditional ruler, retrograde, that’s about all we’ll be able to do for now. Yes, it’s frustrating! Venus and Mars, who rule Taurus and Scorpio respectively, are both in Aries, pushing personal agendas. Venus is pulling away from her last square to Pluto on May 2, completing a rather difficult period for her. Now she just wants to have fun for a change. Taking some downtime may not be a bad idea, if you can. Mars in Aries encourages physical activities of all kinds – as in less thinking and more doing! This is a great time of year to head outside to play, since it is spring in the northern latitudes and fall in the southern ones. Mercury in Gemini forms an awkward inconjunct with Pluto in Capricorn before moving back into Taurus on May 13. This may be a case where Mercury feels like a teenager being reined in hard by the authorities (Pluto). All those bright ideas that leapt into our heads when Mercury entered Gemini are up for intense review, so we might as well sit down and do it. The collective is still in the process of adjusting to the new tone of frugality and paying as you go demanded by Pluto in sober-minded Capricorn. This is just one more step. A lovely mystic rectangle is formed by the Sun in Taurus, Moon in Scorpio, Saturn in Virgo, and Juno in Pisces. What this says to me is trust your intuition and your gut instincts over logic and reason, especially when it comes to committed relationships. Juno is the asteroid associated with marriage. Saturn demands that we honor our commitments, and the luminaries in fixed signs are both inclined to stay the course. Don’t be surprised if you and your sweetheart end up talking about taking your relationship to the next level – either that, or calling it off because you realize you are ready for something more serious, and the person you’ve been seeing isn’t. The stellium of Jupiter, Chiron, and Neptune in Aquarius semi-sextile Uranus in Pisces does not seem to have an outlet of expression, but this will change at the New Moon in Gemini on May 24. For now, it is a good idea to continue working on maintaining perspective and not succumbing to fear. It is much easier to deal with a tangible problem than all the “maybes.” Stay strong and have faith in the universe. For the Sun, the Sabian symbol is 19 Taurus, “A new continent rising out of the ocean,” with the keyword ORIGINALITY. This is Taurus, so the emerging potential is based in reality rather than speculation. We still have to wait out the Mercury retrograde period, though, so don’t get in too big of a hurry. Besides, no Taurus I’ve known ever did anything quickly. The symbol for 19 Scorpio is, “A parrot repeats the conversation he has overheard,” and the keyword is CONVENTIONALITY. Be careful not to “parrot” what you’ve heard without taking time to determine for yourself what is really going on. The message of this lunation is clearly one of taking time to consider all of your options carefully, choosing what works and clearing out the rest. Hauling around emotional baggage is exhausting, as most of us know. I know I sound like a broken record sometimes about practicing kindness and forgiveness, but I do so from the heart. Something else I would like to recommend is doing something nice for yourself regularly. We all deserve a treat now and again! Image: This is the Wesak Full Moon, celebrating the Buddha’s birthday. This image shows last year’s Wesak Full Moon, on April 29, over Mount Everest. Photo by David Gray for REUTERS. This entry was posted in Full Moon and tagged full moon in scorpio, mars and venus in aries, mystic rectangle, Wesak Full Moon on May 6, 2009 by Pat.